The struggle to get city employees to participate in a major investigation has Council President Ben Stuckart wondering if he's "just banging his head against the wall every day." A fter all that's happened, City Council President Ben Stuckart knows he made a mistake when he signed the memo. He says he thought the Feb. 25 memo was simply meant to encourage city employees to participate in independent investigator Kris Cappel's probe into how the city handled the allegations against former police Chief Frank Straub and his subsequent ouster. Yet the memo, drafted by the four-member joint committee guiding the investigation, and signed by Stuckart and Mayor David Condon, contained the phrase "you will not be retaliated against for participating or not participating." Stuckart says he had no idea the phrase would backfire, and be used as proof that no one was required to submit to Cappel's questioning. But emails obtained by the Inlander last week show that several Spokane Police Department employees had initially been ordered to submit to questioning. Furthermore, the records show that days before the Feb. 25 memo was signed, the human resources department promised that none of the members of a major city union had to participate in the investigation, resulting in so much confusion that Cappel temporarily canceled a whole slate of interviews. Today, at least a half-dozen witnesses employed by the city, including a city attorney and several members of police leadership, have refused to be interviewed by Cappel. "We believe that your investigation will not be deemed to be thorough unless specific individuals are interviewed," the city council wrote back in December. Under the shadow of multimillion-dollar lawsuits, it's left Stuckart and others worried that, if witnesses still refuse to participate, the city will have spent up to $48,000 for an investigation with glaring holes. "This is one of the most frustrating things that has happened since I've been here," Stuckart says. "It makes me question if I'm just banging my head against the wall every day." Nearly two months after Cappel was hired, then-interim Chief Rick Dobrow issued a clear command: Police department employees would submit to questioning. It was not optional. "You are all WITNESSES in this investigation," Major Justin Lundgren wrote in a Feb. 18 email. He attached a list of 17 employees Cappel wanted to interview: "The investigation is administrative in nature and Chief Dobrow is requiring our participation to assist in the investigation to determine if city policies were followed." Such a command isn't unusual. When Cappel investigated workplace discrimination in Yakima in 2007, every police department employee was read their Supreme Court-established "Garrity rights" — making it crystal clear they were required to testify, but that what they said couldn't be used against them in criminal prosecutions. Similarly, during the 378 internal affairs investigations conducted during Condon's first term, all police department witnesses were compelled to participate under Garrity. And when Spokane's Use of Force Commission laid out its recommendations for independent police ombudsman investigations, it said that without the power to force employees to answer questions, "the ability to conduct an independent investigation is severely undermined." But the Cappel investigation went in a different direction: Over the next week, while Dobrow was still on vacation, his mandate requiring participation in the interviews was undermined and overridden. The erosion began when accountant Erika Wade contacted David Lewis, president of the Managerial and Professional Association. It represents 272 city employees, including about 20 personally appointed by Condon. Lewis says that Wade wasn't the only one worried about the investigation. Multiple employees had told him "they did not feel safe providing that information, that they were worried about retaliation." For guidance, he reached out to Heather Lowe, the city's human resources director. "HR has verified that you, or any other M&P member named, do not have to participate in the investigation," Lewis wrote in an Feb. 22 email back to Wade. What still isn't clear is how Lowe determined that. The joint committee's memo establishing that the investigation was voluntary wasn't signed or distributed until Feb. 25, three days later. Complicating matters further, the HR department — and Lowe herself — is a target of Cappel's investigation. The investigation is tasked with learning what Lowe knew, when she knew it, and whether the city followed its policies about handling harassment allegations. Lowe did not return a request for comment from the Inlander. Regardless, as news spread that participation was optional, other police department employees reacted in shock or confusion. ("What the what?" Tim Schwering, director of strategic initiatives, wrote in an email. "Are we not to participate?") Several fired off emails to the city attorney's office, citing Dobrow's original order. Maj. Lundgren, alluding to issues raised by HR, told witnesses that all interviews were voluntary until the city administration provided more clarity. A few witnesses immediately pulled out. "Please cancel all of the remaining interviews scheduled this week until further notice," Cappel wrote shortly after. Meanwhile, the joint committee overseeing the investigation was considering the issue behind closed doors. City Councilmember Karen Stratton, a former member of the committee, supported the decision to make interviews voluntary. She believed that the highly paid members of Condon's staff could afford to hire attorneys to protect themselves. But she was worried about the low-level employees who couldn't. She wanted to reassure them. "If you get called [to be interviewed], please know you won't get fired," Stratton says she wanted the memo to communicate. "That's a real fear for some people who have jobs they're supporting their families with." But for some witnesses, it backfired. So far, five police department employees — more than a quarter of Cappel's list of SPD employees — have declined to participate. Those included two of Straub's most vocal critics, Capt. Brad Arleth and Lt. Joe Walker. Ironically, in December, Arleth and Walker had gone on record with the Inlander, describing crass, profane and sexually explicit language used by Straub. A lot has happened since. Arleth was put on paid leave less than a month after his Inlander interview, the subject of an internal affairs investigation accusing him of defying orders by moving furniture to a new police precinct building. The week he was scheduled to be interviewed, he was still awaiting the IA ruling. Arleth says he'll talk to Cappel once everything regarding the IA investigation has been put to rest. Walker, meanwhile, objected to how the investigation had been switched midstream to being voluntary. At least a half-dozen of his colleagues had already been forced to participate. But then, only hours before he had to interview, suddenly the remaining interviewees were told it was voluntary. That didn't smell right to him. "I've seen enough craziness and dysfunction in the last few months," Walker says. And yes, he too is concerned about retaliation. While Stuckart has a goal of protecting witnesses from retaliation, Walker isn't convinced. "Stuckart's not sitting down at the police station making sure a guy isn't working graveyard and weekends and sitting at a tiny office staring at the walls because they tried to do the right thing," Walker says. "That's not a path I want to go down again." However, he also says that for people like him who do want to be interviewed, being ordered to participate would make things a lot easier. The Spokane Police Lieutenants and Captains Association wants the investigation to be mandatory for everyone. "Why won't the mayor order people to participate in this?" Walker asks. "It's so easy. Why won't he do that?" 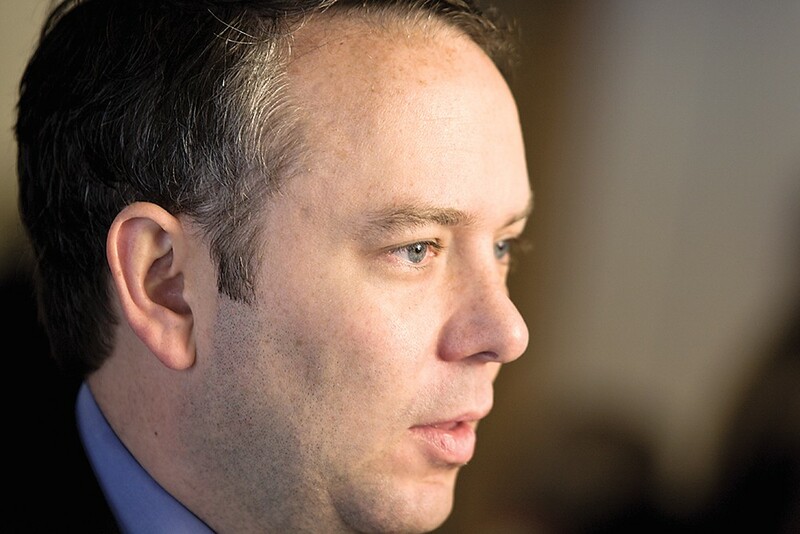 Mayor David Condon has come under pressure to make answering the investigator's questions mandatory. But so far, he's declined to do so. Last week, Cappel sent a response to media reports that the investigation had been "derailed." She confirmed that former police chief Straub and witnesses from the city attorney's office had refused to participate. She said she'd struggled to schedule an interview for Monique Cotton, the police spokeswoman who'd accused Straub of sexual harassment, with Cotton's attorney, Bob Dunn. She also defended her investigation, noting that she'd already conducted 29 interviews, and had scheduled interviews with other important witnesses — including Condon and Lowe. She "urged patience and restraint" and cautioned observers from drawing any conclusions about the impact on yet-unfinished investigation. Still, Cappel faces clear challenges. Dunn says the lack of participation has made Cotton less likely to participate herself. "If Straub is not going to testify, if a number of the key police personnel are not going to testify, what is the point of this investigation?" Dunn says. "This investigation process is like a clusterf---." Also, Walker's notes show that in 2014, he had repeatedly warned Assistant City Attorney Erin Jacobson regarding his concerns about Straub, including an "I love you" text message from the police chief to Cotton, yet the city failed to investigate. Confirming that is tricky: both Walker and Jacobson have refused so far to be interviewed by Cappel. After the Inlander reported that Jacobson refused to testify, Stuckart shot off a letter to the mayor last month, asking him to read witnesses their Garrity rights, simultaneously forcing participation in the investigation and protecting them from criminal prosecution. 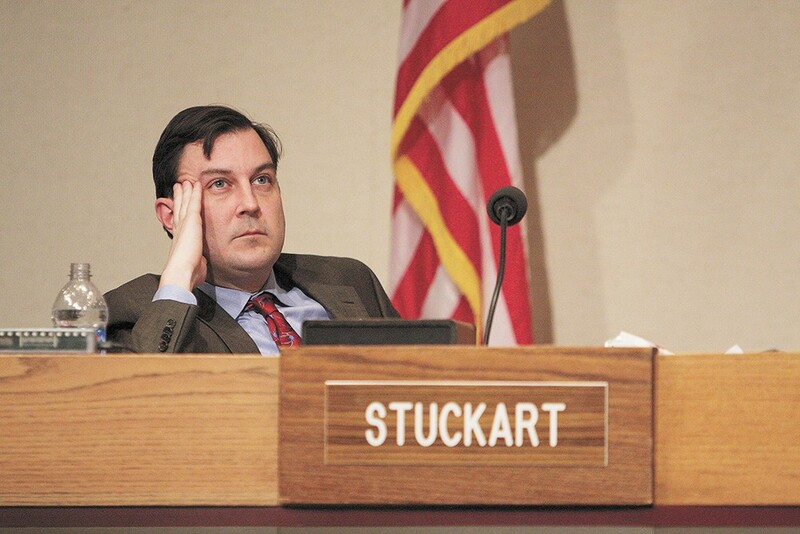 Condon's response to Stuckart — delivered by an outside attorney hired to help the city defend itself from Straub's $4 million lawsuit — came during a privileged executive session, so Stuckart is legally barred from saying what the council was told. City spokesman Brian Coddington, however, says the mayor hasn't asked employees to participate because he doesn't want to influence the investigation. "This is not the mayor's investigation," Coddington says. "There's been no word from the investigator that she can't complete her work." Asked Monday if Condon would mandate participation if Cappel or the joint committee asked him to, the mayor wouldn't commit either way. "We'll address those issues as they come forward," Condon says. Stuckart, meanwhile, says the city council is looking at all of the tools available to make sure the investigation counts. That includes seeking additional outside legal counsel in a process already swarming with lawyers. And then there's the nuclear option: In December, the city council wrote that they would consider the possibility of issuing subpoenas "to ensure that each person who has relevant information will be involved in the investigation." Stuckart says it's not ideal. The council using its subpoena power is unprecedented, and it wouldn't stop witnesses from pleading the Fifth to avoid incriminating themselves. But even Stratton is willing to consider using subpoenas if all else fails. Condon, by contrast, doesn't express frustration over city employees who haven't agreed to be interviewed. He saves his criticism for the leaks, commentary, speculation and press coverage that have dogged the Cappel inquiry.